In today’s automotive market, the idea of a performance SUV is not that strange. It seems like virtually every company has some sort of sporty version of its SUV or crossover — or coupe crossover. So where did it begin? 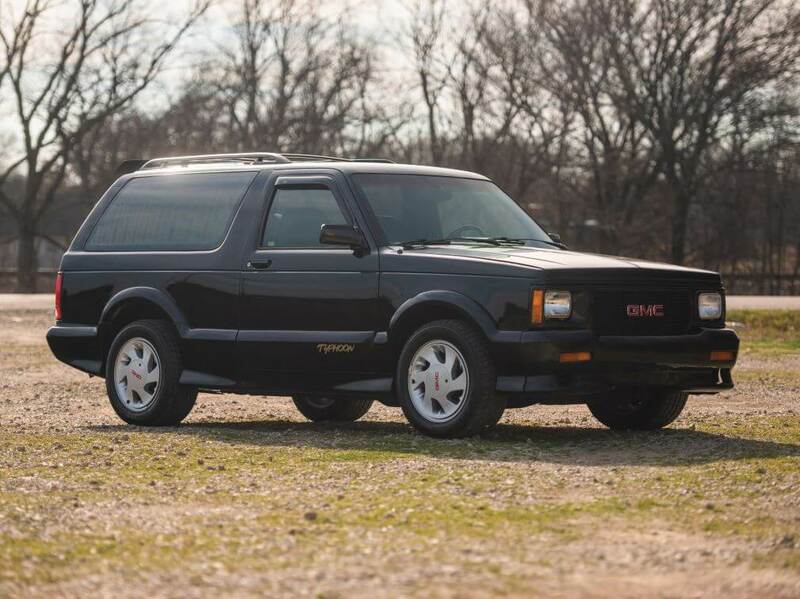 For this week’s Want, we’re looking at exactly that, the genesis of the performance SUV, the GMC Typhoon. Weirdly, the Typhoon is a vehicle that has no right to even exist. 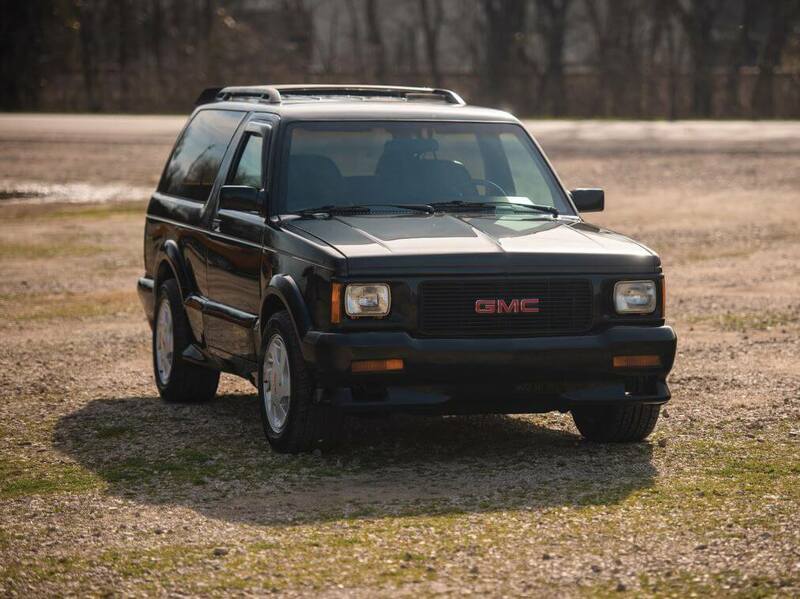 Back in 1992 when it hit dealer lots, no one was asking for a fast GMC Jimmy. To put it into perspective, it’s similar to someone wanting a performance version of the GMC Acadia today. It’s just not something that happens. So what makes it so special? Well, in short, it’s fast. At its heart, the Typhoon has the same 4.3-liter V6 as the Jimmy. To give some extra grunt, it also has a Mitsubishi turbocharger pumping out 14psi. This bumps the power by 120 ponies from the base 165hp to a screaming 285hp. Torque is equally impressive too at 350lbft, an increase of 115lbft. It’s more than just a turbocharger too. The engine internals are straight out of a Corvette. 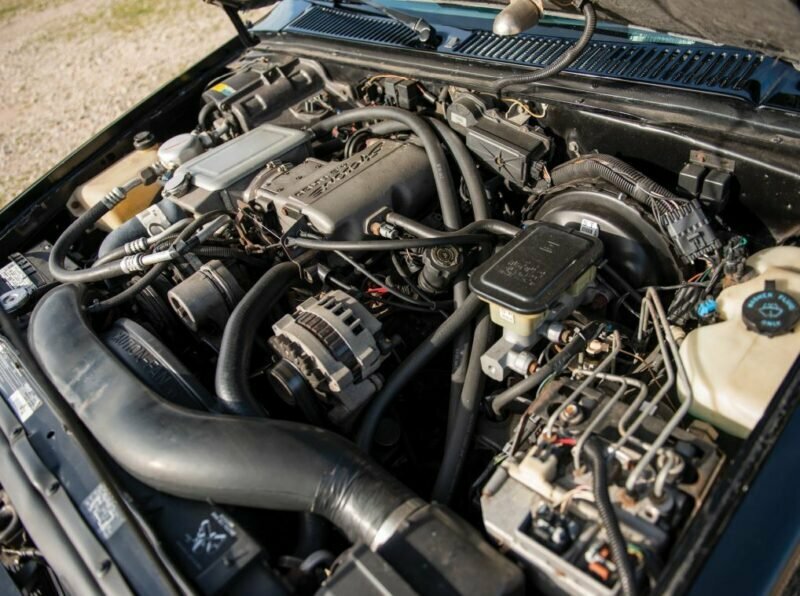 This is thanks largely in part to the 4.3-liter being 75% of the GM small block 350. 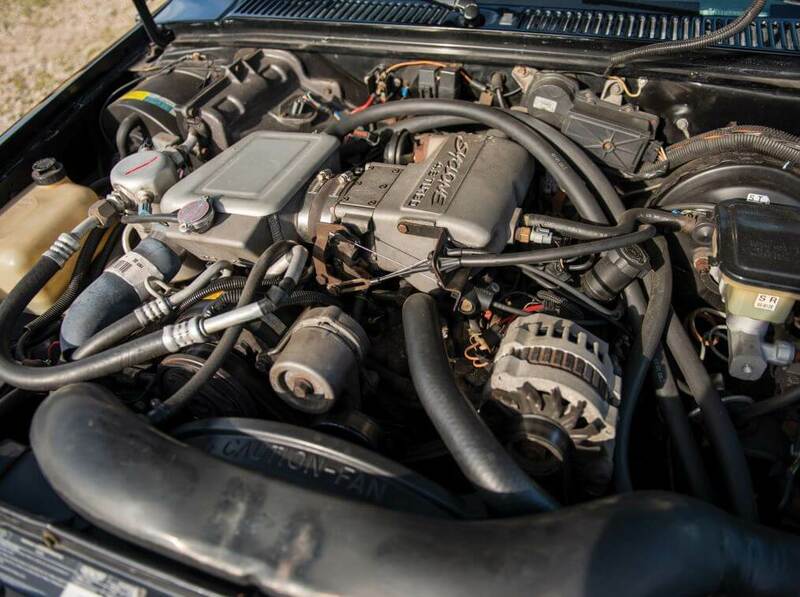 It also uses a Corvette throttle body and fuel injectors. As a result of all of this, the Typhoon will make the run to 60mph in just 5.3 seconds. 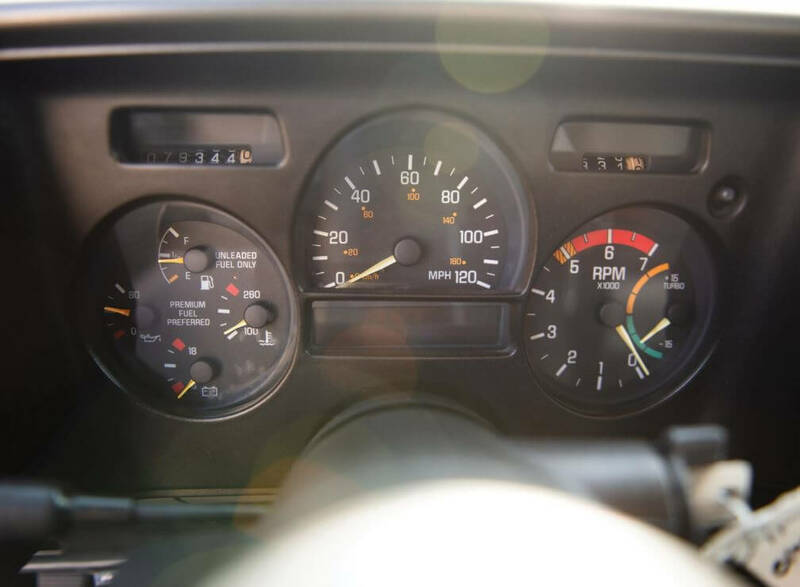 Flat out it’ll continue on all the way to 125mph, a scary number for an SUV designed in the early 80s. Finally, it’ll clock the quarter mile in just 14 seconds. That quarter mile time is the stuff of automotive legends too. Bring up the Syclone or Typhoon on the internet and someone will tell the story about how it could beat Ferraris. While there is some merit to this, it wasn’t hanging with the F40. Instead, back in 1991 Car & Driver pitted the Syclone against a Ferrari 348. With 300hp from its V8 engine, it’s not the quickest Ferrari by any means. However, the magazine still put the two side by side with predictable results. The Syclone drove away the winner and an internet legend was born. In addition to the increase in power, the Typhoon also got a few other goodies to help its performance. Instead of the 4WD from the Jimmy, the Typhoon used a transfer case from a Chevy Astro to make it AWD. This split the power 35% to the front and 65% to the rear. It also had bigger brakes, a sports suspension, and even a limited slip differential. There was one downfall to all of this though. When it hit the lots, the Typhoon retailed for a staggering $29,530. That’s nearly $55,000 in today’s money. 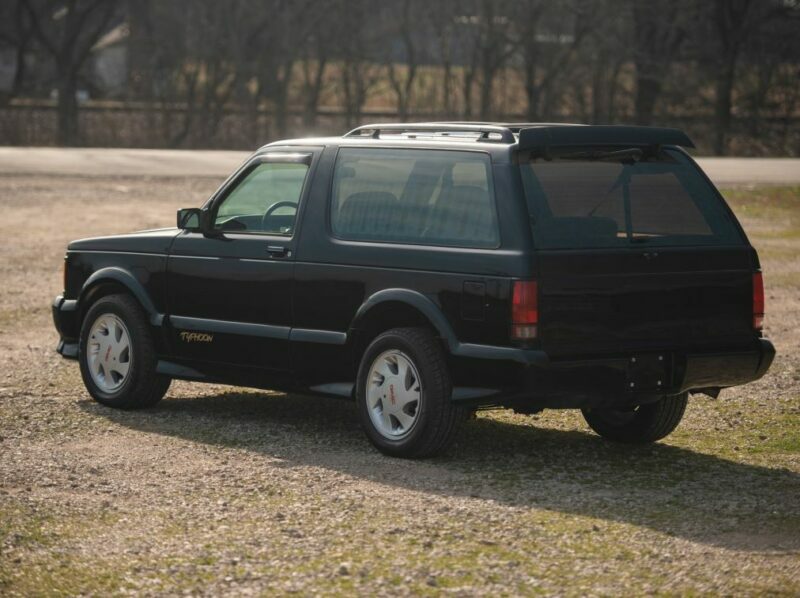 It was also only $4,000 less than a Corvette at the time too and $14,000 more than a Camaro. GM did not lose out on the Typhoon though. 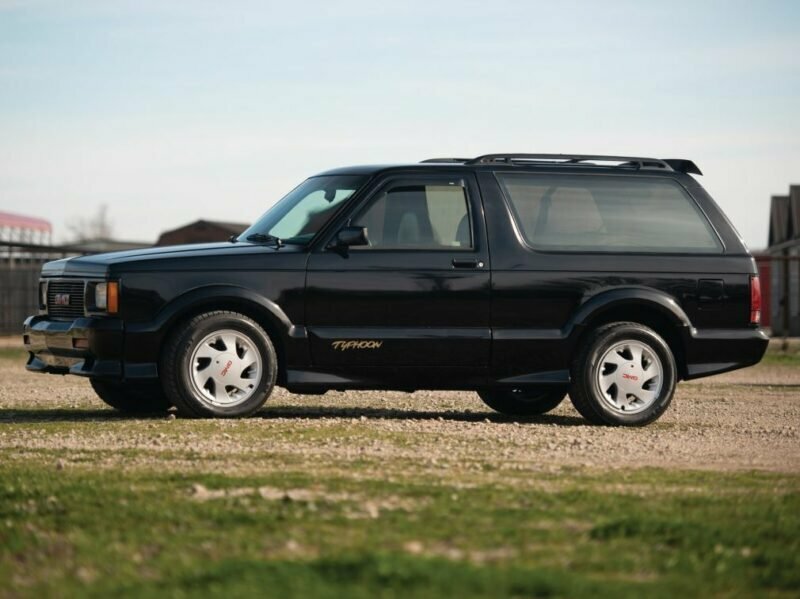 With just 4,700 made between 1992-93, it’s not like it had a bunch of them hanging around dealer lots. 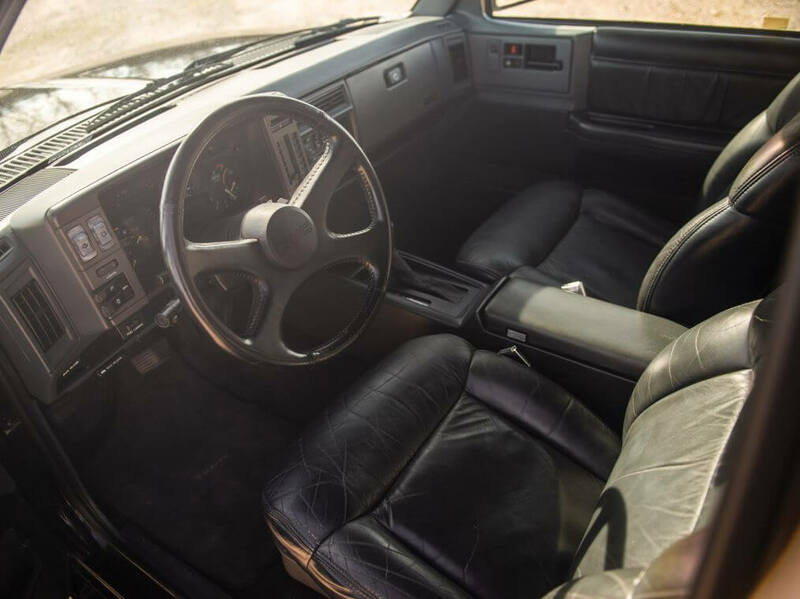 As a result, the trucks are rare and when an example comes up for sale, it fetches a pretty penny. The example we are featuring this week comes out of the Retro Motors Collection due to cross the block at RM Sotheby’s Fort Lauderdale auction. There it will join the Honda N600 from the Want a couple of weeks back. It’s an all-original 1993 model making it just one of 2,200 made that year. However, with its black on black paint, it’s the most common configuration of the bunch. 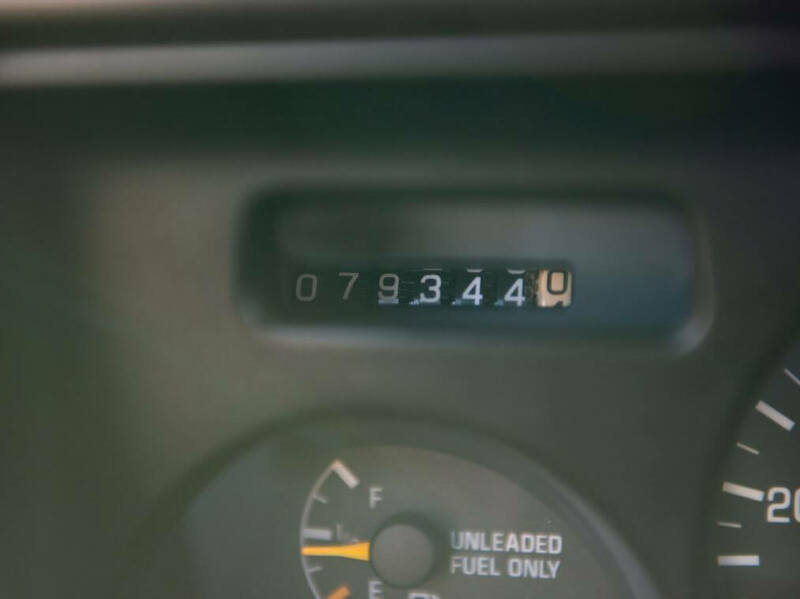 With 80,000 miles on the clock, it’s not in perfect condition. The seats show their age and several of the interior pieces are worn. This isn’t a bad thing though since it shows the previous owners actually drove and enjoyed the vehicle. The auction estimate puts the price between $20,000 – $25,000, which is still fairly pricey. However, if you want the genesis of the performance SUV, it’s a price worth paying.